The best innovations make innovators of us all. When Jane ni Dhulchaointigh hit upon the idea of creating Sugru, a mouldable rubber that can be used to modify and mend objects, she believed it could put the power of invention in everyone's hands. And it was this inspiring thought that kept her going through on Sugru's long and arduous journey to market. And her story inspired us, too. 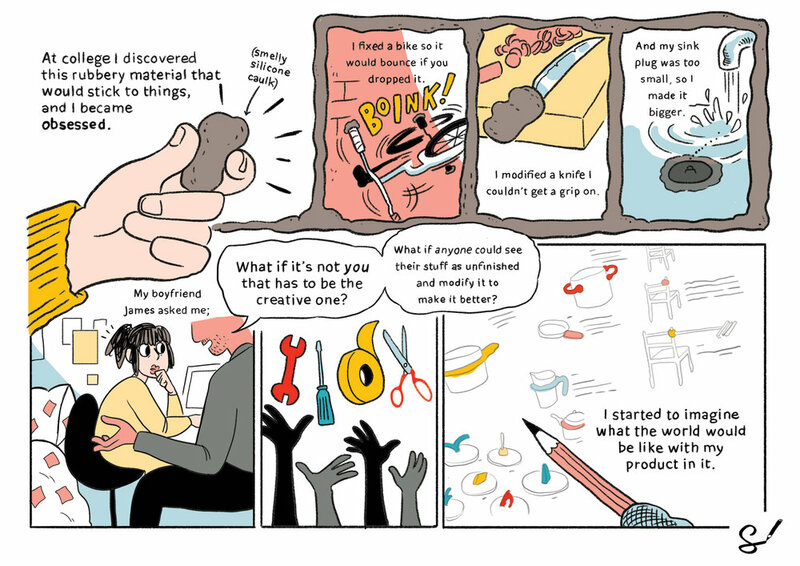 Not only are we now weirdly addicted to 'hacking' our stuff with a blobs of this magical rubber, we've also used Jane's story as inspiration for one of our comics - in its own right, a innovative step in visual storytelling for business. 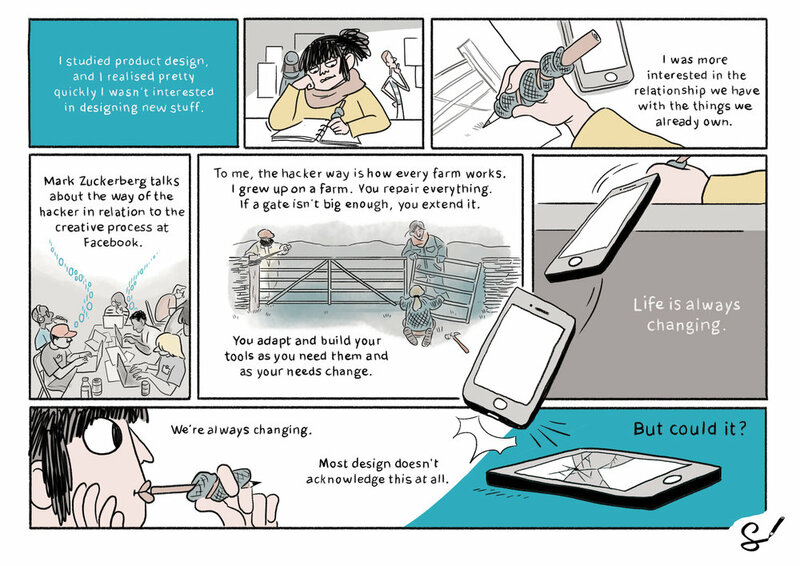 Below, Scriberia's queen of the comic format, Jess Milton, renders Dhulchaointigh's rubber revolution.